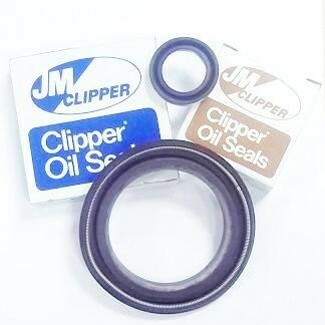 Ashton Seals have access to a wide range of JM Clipper Oil Seals in both solid and split styles that are available in ​nitrile and viton®. Originally developed in the 1930s for use on the Pan Am Clipper airplanes, today the full line of ​clipper ​oil ​seals ​are used in a wide range of equipment from ​pumps and gearboxes to ​construction and ​mining ​machinery through to ​industrial equipment. EXTRUSIONS: For especially large diameter shafts the JM Clipper combination aramid fibre/rubber profile can be supplied as an extrusion. UNEEPAC: Durable moulded packings for hydraulic and pneumatic reciprocating shaft applications.